Some of the best draftspeople practice their craft by copying famous works of art. Michelangelo started out his career as a forger, attempting to promote one of his own creations as an antique Roman sculpture. And look what he went on to accomplish. I figure Sophie is in good company. Now, I used to copy the illustrations of Sandra Boynton onto my bedroom wall (no, Sophie and Chloe, I will not let you draw on your walls). But I was in high school and did not inherit any of my mother’s artistic genes. Sophie, on the other hand, is only 7 years old. 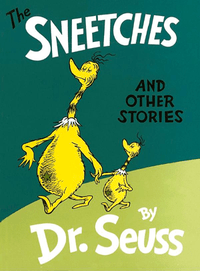 So when she came home from school the other day with a replica of the cover from Dr. Seuss’ book “The Sneetches,” I was fairly astounded. 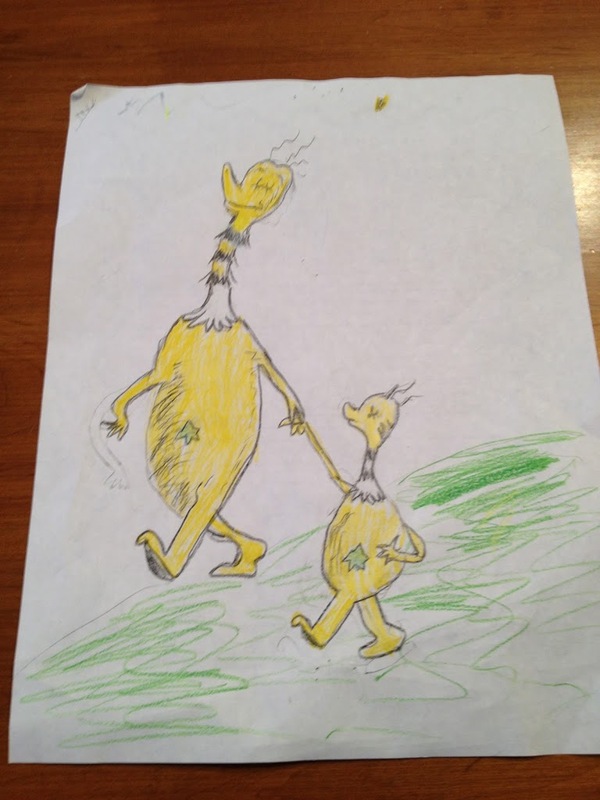 I was convinced she had traced it and colored it in. But she was adamant. She had copied the illustration free-hand, down to almost every last detail. See the original below, and spot the differences if you can, and tell me if you don’t agree that the kid has some talent.